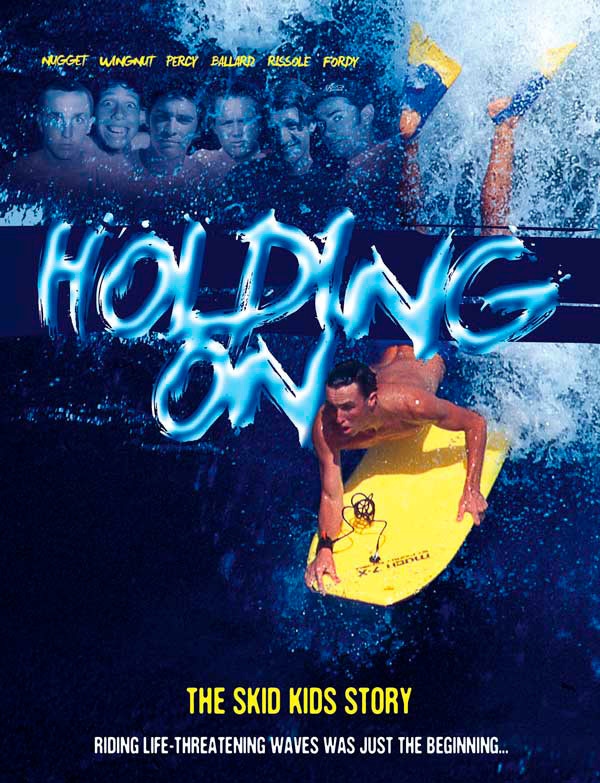 Sinopsis:Holding On is the incredible true story of a group of friends from Cronulla, who through their reckless, no-holds-barred approach to living life and riding waves changed the sport of bodyboarding forever. In the late 80’s early 90’s, three friends Dave Ballard, Matt Percy and Nathan ‘Nugget’ Purcell started riding the notoriously dangerous waves of Cronulla on an invention called the bodyboard. With their rebellious attitudes, tough family lives and lack of financial support, they were labelled by the media as the Skid Kids, a label that would also eventually be applied to Adam ‘Wingnut’ Smith, Mark Fordham and Christian ‘Rissole’ Rigucinni. Through their reckless no-holds-barred approach to bodyboarding Shark Island, a wave previously deemed unrideable, not only were the Skid Kids gaining the respect they deserved from traditional surfers, but they were inadvertently spearheading the monumental rise in bodyboarding’s global appeal and popularity.